Several senior Burmese military officials have been detained for leaking pictures of secret tunnels under the new capital of the country. The images were given to the Norwegian-based TV station, Democratic Voice of Burma. 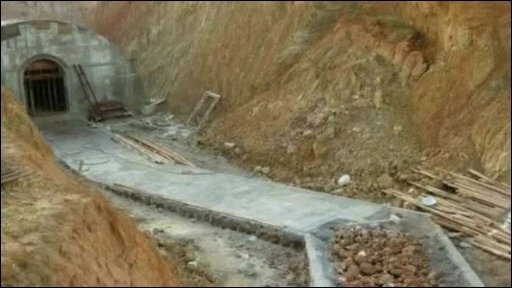 It is thought the tunnels under Nay Pyi Daw could have been built with the help of experts from North Korea.